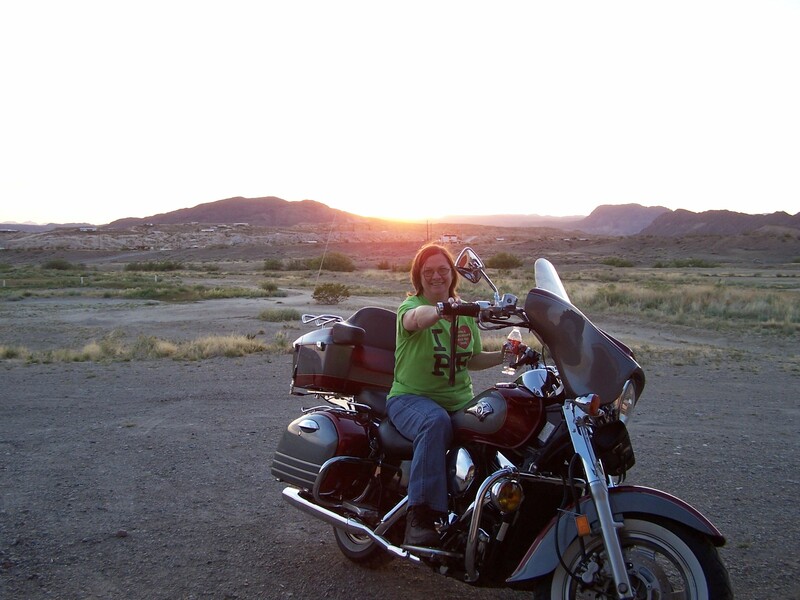 This entry was posted in Miscellaneous, Riding Tips and tagged 2002, Big Bend, long ride, Motorcycle, motorcycle ride, Motorcycle Touring, motorcycle travel, motorcycle trip, Motorcycles, riding, spring, touring, wife. Bookmark the permalink. My wife too has a fear of riding. although when we were younger she would not hesitate to jump on, 30 years down the track she isn’t so willing. Were I currently live is 130km (80miles) from the next closest town so it is only around town here that she will ride. In a couple of months we are moving back to South Australia and the area has a lot to offer riders and there pillions. Lots of short rides on good surfaced roads. Dozens of wineries and cafes within 30 minutes ride. I’m very much looking forward to it and gradually extending our ride as she gains confidence. Hopefully your wife will get to enjoy it again… I am so blessed that Janet rides with me. It sounds nice where you are moving… I so wish I could ride OZ again. It’s a great country for many reasons. The people being number one. When my husband bought a harley, I explained that riding was not my thing and If he buy it I would not be on it. After he bought it he would hint around for me to ride, but I said no. Well one day I gave in only for a ride around the block. A week later I went just a tad farther. About a month later I agreed to go a litter more farther and told him to briefly try the highway. It was late at night. He is a very safe driver. But I just don’t like it. Now six months later he hinted that two couples were riding with their husbands to Fredricksburg where the scenery is fabulous. I saw it in his eyes and hesitantly agreed to go along. Only until I shared with an avid biker rider at work did I find out the ride was four and a half hours away. The coworker suggested that we trailer in. I told my husband and he agreed. The next day he said he started asking different bikers and that all ride and never trailor. Husband called and said that we would ride. I feel he should be more understanding of my concern of the length of this trip but he does not want to compromise. I feel he should at least allow me to car ride behind them and enjoy the bike ride once we reach Fredrickberg. Please respond we have started arguing about this and am I about to tell him that since he is acting this way. I will never ride. Hi Carrie, I’ve been out riding so I’m just getting to answer. Thank you for your kind words. I hope we can work it out. I think after spending my life not taking a risk of bodily injury, then going to school later in life to develop a skill, and having a skill that requires the use of my brain and appendages, taking that risk to ride on a moving object with no restraint or airbag is more than what I able to fathom. I think my husbands choice to buy a motorcycle in his 50’s, having a hobby I couldn’t even hope to enjoy is incredibly selfish. And I have ridden on the back of a bike with my father years ago. Hated it then and he wasn’t even driving fast. The problem I have now is not doing something together, once again. If that is how you feel then you shouldn’t ride. I was lucky that Janet thought my riding again was a good idea and I was lucky she and I was was able to work things out with her riding. I hope you and your husband can come to terms on this.